Buhari to inaugurate ERGP Focus Labs – Royal Times of Nigeria. The Minister of Budget and National Planning, Sen. Udoma Udo Udoma, said the Economic Recovery and Growth Plan ERGP Focus Labs would be inaugurated by President Muhammadu Buhari on Tuesday. 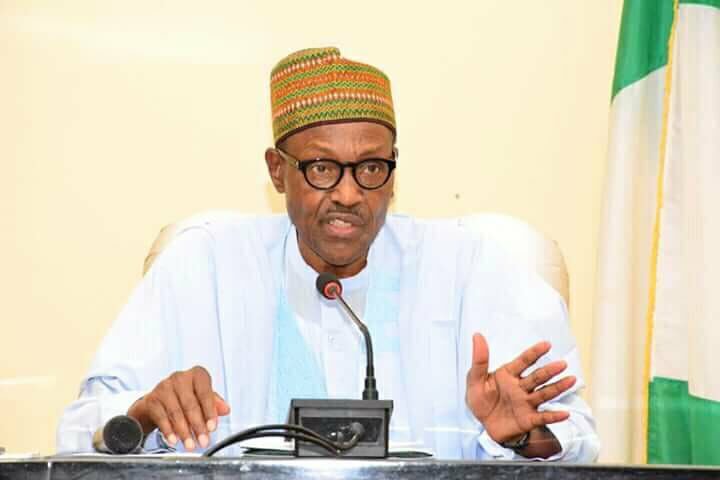 The Minister stated this when he briefed State House correspondents on the outcome of the meeting of the Federal Executive Council (FEC), presided over by President Muhammadu Buhari. The Economic Recovery and Growth Plan is an economic plan that builds on the 2016 Strategic Implementation Plan, meant to tackle corruption, improving security and rebuilding the Nigerian economy. The lab is one of the several initiatives by the Federal Government to drive the implementation of the strategic objectives of the ERGP. According to the minister, he briefed the Council on the most recent Gross Domestic Product and other related economic performance numbers as released last week by the National Bureau of Statistics (NBS). He noted during the last quarter of 2017 the economy had continued its positive growth trajectory growing by 1.92%. He said: “”This is higher than the previous quarter when it grew by 1.40 per cent and higher still from the second quarter, when it grew by 0.72per cent. “The numbers clearly show that the economy has fully exited recession. Council members were particularly pleased to note that this growth is very broad based with Agriculture growing at 4.23 per cent up from 3.06 per cent in the 3rd Quarter. “Other sectors such as transportation and storage, electricity and gas production, metal ores, and industry all grew. The minister disclosed that the Council was also happy to note that overall the non-oil sector grew by 1.450 per cent, its strongest since 2015. He said inflation was also trending downwards moving down from 18.72 per cent in Jan. 2017 to 15.13per cent in Jan. 2018. Udoma also said the Council also expressed satisfaction over the increasing private sector confidence in the ERGP, and other policies and programmes of the Buhari administration, as evidenced by the increasing capital inflows. He revealed that capital inflows in 2017 were 12.228 million dollars, a growth of 138.6 per cent over the total inflow in 2016 of 5.124 million dollars. According to him, this has been a factor in the build-up of nation’s foreign reserves which have grown from 23.81billion dollars in Sept. 2016 to almost 42 billion dollars. He said the Council, however, agreed that whilst these positive results were most encouraging, particularly in the light of where the nation was in the last few years, “the current growth rate was still rather modest.